I have been in online affiliate marketing for several years now. I have learned many things along the way. I currently own a traffic exchange membership site called Hit Funnel. 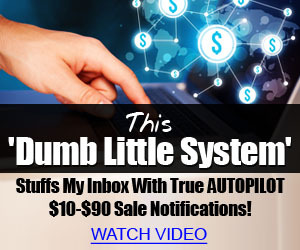 I also build lists and help people learn how to make money online through affiliate marketing. I served 25 years on active duty in the U.S. Navy. I have a bachelors degree in Business Management and Marketing. Since retiring from active duty I have decided to dedicate full time to my online business. I hope to provide my readers with useful information on how to start and run your own online business. Leased Ad Space is a great place to build truly viral traffic and is an important part of my sales funnel. Feel free to contact me with any questions and check out how I can help you succeed.